Valentine's Day What to do on February 14 with your own hands. 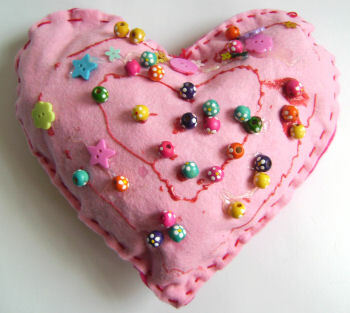 Children's handmade hearts. My favorite holiday is on the 14th of February. 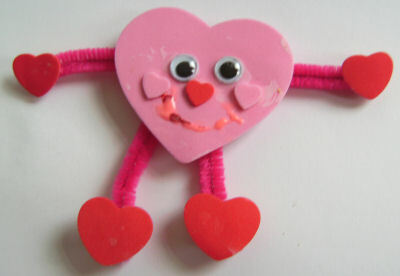 Each girl has so many pleasant, tender memories from school years, so much is stored in a special box of cute valentines, donated from loving boys. 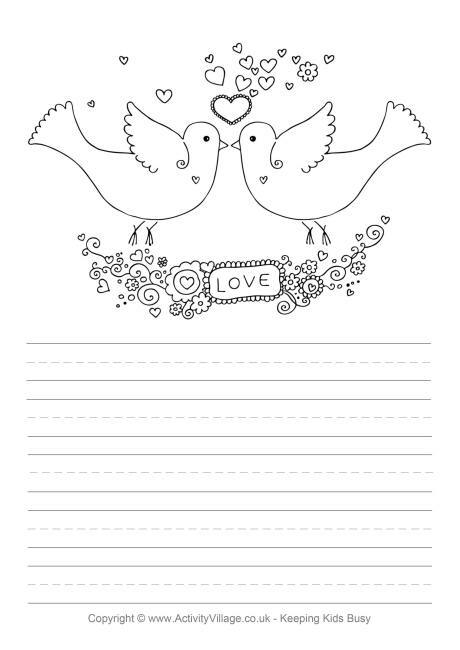 This day many "halves" are waiting to confess their feelings, send a postcard with a declaration of love to a beloved addressee. 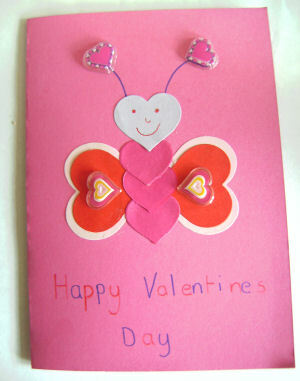 I want to share new variations of children's crafts for Valentine's Day, which your children can do by themselves. 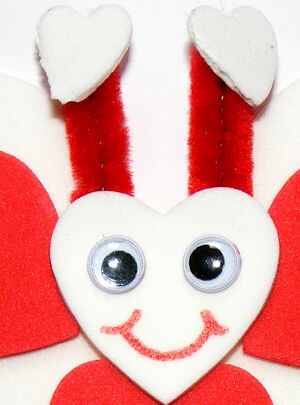 Hearts, as the basis and symbol of this holiday, will be present in each of our hand-made articles. A postcard with kind words from pink paper is very soft: You can also print out a template, paint it and write warm words about your feelings or a good verse. 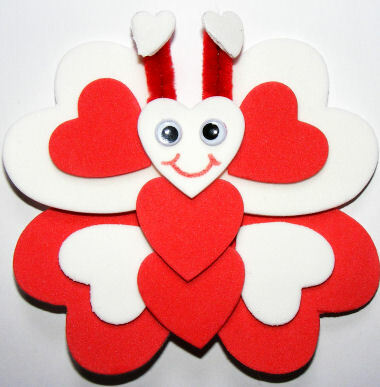 Bird of love - a charming bird - a valentine's own hands: You can make a sweet gift for February 14: Caterpillar made of foam material (this happens inSets for creativity "merry applique"). Do not forget to buy in the store stickers, eyes, a very useful and interesting thing - all the handicrafts come to life with them! 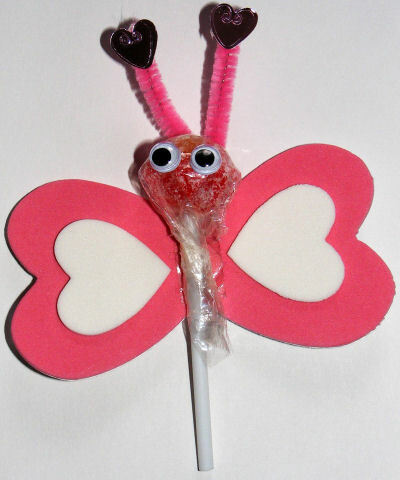 By the way, such a caterpillar can be given to a classmate (friend) as a bookmark in a book. A cheerful heart, speaks for itself of great love! Love bracelets for memory of foam: A flower from the bottom of my heart, made with my own hands with love. 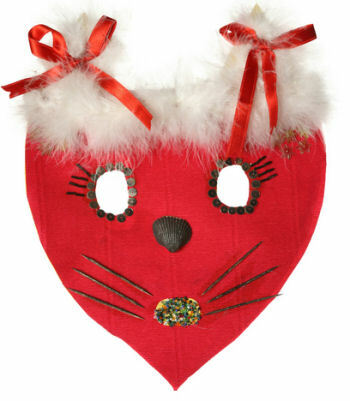 Children's hand-made butterfly: The ladybug is also a symbol of the holiday of all lovers: Pillow in the form of a heart: A framework for your favorite and dear to the heart of photography: Mask made of cardboard on February 14. 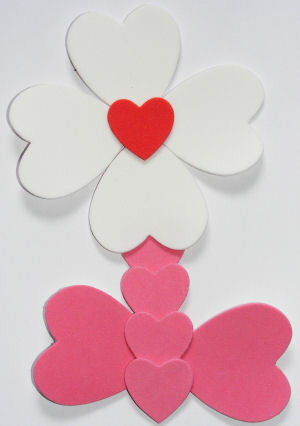 We play with the child in cupids and make children's crafts for Valentine's Day! Crafts and postcards on February 23 with their own hands. Gifts for dad and grandfather. Children's crafts, handicrafts for the school with their own hands, crafts made of natural materials, autumn crafts, crafts made of dough with their own hands, how to make a grassy little man, a school pencil case with their own hands. 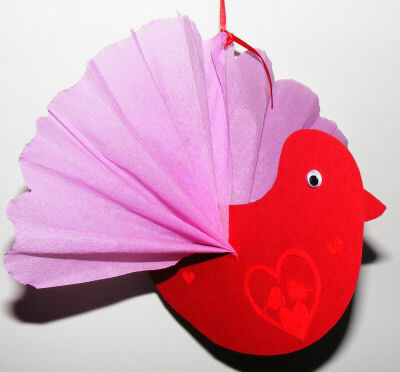 New Year's crafts, children's hand-made paper from their own hands, how to make a snowman from paper, free master classes. THE BEST. February 14 crafts own. 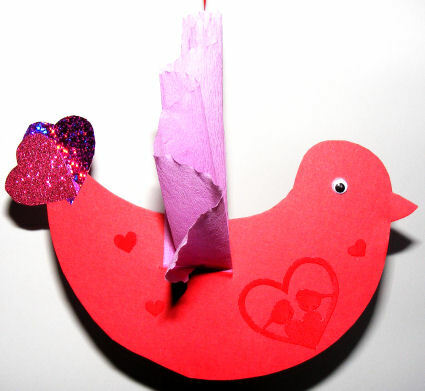 Crafts on February 23 with your own hands.